A deep and intense dark chocolate flavor combined with a wonderfully moist cake texture makes gluten-free brownies made from our brownie mix an instant favorite. A must for all chocolate lovers! This mix is specially made for those sensitive to wheat or gluten. Directions: Preheat oven to 350°F. Spray 13 x 9-inch pan with cooking or baking spray. Place gluten-free brownie mix in large mixing bowl. 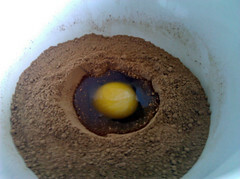 Beat in butter or margarine, egg, vanilla and warm water with electric mixer on medium speed until just combined. Stir in ¼ cup chocolate chips and/or ¼ cup chopped walnuts or pecans (optional). Spread batter in prepared pan and bake for 20-25 minutes or until toothpick inserted in center comes out clean. Cool brownies thoroughly. Cut and serve. Makes 16 brownies. 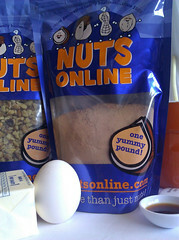 There are approximately 2¼ cups of mix per pound. Both my daughters who are gluten intolerant thought these tasted great. I will buy again. Sent this to a friend who CAN-NOT-BAKE-TO-SAVE-HER-LIFE (as she puts it!). Thrilled! Better than my own old recipe. Thanks for helping us old folks with so many gluten free products. I have six grandchildren that put up no arguments either. When they smell the brownies, I always get help with the eating! I am learning to bake in a cookie sheet so I can cut them for making ice cream sandwiches. 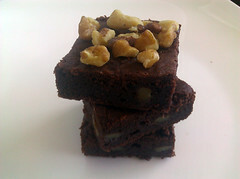 My triple chocolate brownies are really fun to make, to taste, and to watch them be consumed with so much joy. To fill my cookie jar I make thin cookie size rounds. I mix with orange zest and orange juice, roll into balls to bake and then roll in powdered sugar for storing. I let them stand a week to develop a crust and then serve. Great with cold milk or ice cream. You are only limited by your own imagination. Just have to watch the consistency and adjust to keep the cookie a cookie. Peanut butter chips are another surprise to add for hungry kids. So fudgy and delicious! It didn't even last a day in the house! This is the second time I've ordered this brownie mix -- it is awesome! You seriously can't even tell these are gluten-free, it's impressive. 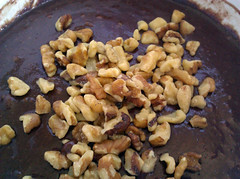 It's a slightly different taste without gluten but I added the walnuts and chocolate chips and my husband loved it. evaporated cane juice, Ghirardelli cocoa, potato starch, sweet white sorghum flour, tapioca flour, whole grain corn flour, sea salt, baking powder (sodium acid pyrophosphate, sodium bicarbonate, corn starch, monocalcium phosphate), xanthan gum Packaged in the same facility as peanuts, tree nuts, soy, and milk products.